Stimeyland: The Future of Stimeyland. Let's Discuss. I started blogging in March 2007. I was so happy to have found this medium. I'd been writing for years, but had never found a style that suited me until I discovered what became Stimeyland. It's hard to believe that I've been doing this for eight years. Yet while Stimeyland is still my home, it isn't the consuming passion it once was. I write here—and anywhere, really—so much less than I used to. Sometimes it feels as if I might just trail off and never come back. But I still really do love this space, the creativity it lets me express, and the people it puts me in touch with. Considering how different things are here now, I thought I'd answer some questions that I imagine my invisible reader to have. Wait. You think you still have readers? There are a couple of you out there and I loooove you. Also, I'm pretty sure my mom still reads here. How has your approach to blogging changed over the past eight years? While I've always considered my primary motivation to be creating a record for my kids and also doing my bit for autism acceptance (and rodent joy), I started years ago with a bigger focus on reaching a lot of people. At this point, I mostly just care that my writing amuses me and satisfies my need to express myself. In fact, I kind of actively don't want more readers right now. You guys are enough for me. What's to blame for your decrease in blogging? Is it because of your job? Is your new house sapping your motivation to write? Is it Alex? It's probably because of Alex. It's Alex's fault, isn't it? You're right, it's totally Alex's fault. Actually it's a combination of things. Part of it is that I'm busier now. Part of it is that my computer desk isn't in front of the TV anymore, so I often sit on my couch all computerless in the evening and hang out with Alex. So, yeah, it's his fault. But really, a lot of it has to do with a change in how I want to write about my kids. Kids? Oh, right. I remember them. They're still around? I don't write a whole lot about my kids anymore, but I assure you that they are still here. There are all kinds of things I could write about them (and kinda want to), but they're old enough now that their stories are theirs to tell, not mine. If I'm going to be completely honest, their stories have always been their own and if I were starting a blog now, I would do it very differently. I don't regret what I've written in the past, but it's not what I want to do going forward. What's that thing you used to write about? Autism? Is this still an autism blog? At one point, I felt very comfortable describing Stimeyland as an autism blog. While the fact that I and other members of my family are autistic means that this will always inherently be an autism blog, I don't specifically write about that topic very much anymore. Part of it is because of that kid stuff up above. Part of it is that I'm still figuring out this stuff about myself and I'm preferring to read others' insightful words than putting my half-baked thoughts out there. So what will you write about? I'll probably mostly torment Alex and tell you about it. I amuse myself soooooo much. But for real, what will you write about? Myself. Isn't that kind of narcissistic? Yeah, totally. So, really? All about Stimey? I'll probably write about running and cats and maybe zombies and I still have six elderly gerbils so there are six memorial posts right there. I might toss up shorter posts or photo posts. Really, I'll write about what amuses me or makes me feel something. Sometimes my family does some sort of activity that I want to write down and remember, so I'll write about that. Sometimes I'll write about my kids if it is something that I feel meets my criteria of okay things to write about. How is this a change from what you've already been doing? In recent months, there have been times I've wanted to write about something like a fun outing my family has taken and I haven't, because I'd think, "Who cares about that other than me?" I'm going to start writing about those things. Instead of thinking about my posts as little stand-alone articles, I'm going back to thinking of them as a family history. So... So...pro: I might write more often; con: it will be stunningly uninteresting to everyone but me. Ugh. Will you hate me if I unsubscribe? Absolutely not. I never feel bad if people don't want to read my stuff. I am not everyone's cup of tea (or tank of gerbils). In fact, we can be friends on Facebook instead of (or in addition). Find my personal page or my Stimeyland page. Or both! I hate Facebook. I tweeted at you. Why are you ignoring me? I used to love Twitter. Now I check it once every three or four weeks. It is not the best way to reach me anymore. I'm a Facebook girl. I don't even Instagram because it's too many sites to check. How long will you keep writing? Maybe forever. Maybe this post will languish here alone at the top of an abandoned Stimeyland. Who knows? I intend to keep writing, but I don't want to make any promises. Every time I promise to write about something, I don't and then I feel bad about myself. 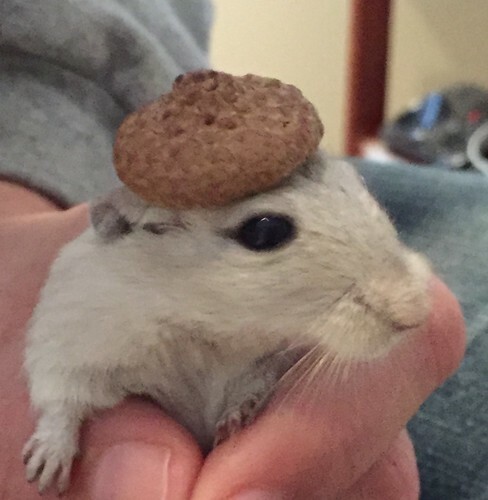 Can I see a photo of a gerbil in an acorn cap? Yes. Yes, you may. Thank you for the gerbil in a hat. It's really the only reason I check back here. ;) Just joking. Blog what you want to, we'll mostly keep reading. Especially if there are pictures. Selfishly, I hope you keep writing because I find you witty and delightful. My blogging has slowed WAY down because the kids are getting older, the ups and downs are getting more- well, not for public consumption, and hey, I got this full time gig now. I started up one for homeschooling Andy, but really, the time... ack! So I am thinking about taking up a new blog where I post pictures of cats and small animals doing cute stuff. And llamas. Lots of llamas. Anyone who is a friend of my Perfect niece Lori is going to be a forever with me... my nickname for her is Perfect and hers to me is Beautiful... why I can't fathom. Love reading anything you write. My blog died the day I started writing posts like this. If your blog dies I will come to your house and force to resurrect it. I will not do the same for your rodents. Pretty please keep writing stuff. Whatever stuff. I have actually recently decided that writing is actually really good for me, and I plan to do more of it. I'll still read, whatever you write. I'll miss hearing about your family outings, I enjoyed reading about them. Many, many of us are no longer writing about our kids, including me. We know that's right. BUT, at the same time, I mourn it. Because I know, without a doubt, that if it weren't for all of you guys lighting the way for me, my guy and I would not be where we are today; I wouldn't have known how to advocate for him, work with him, work for him, enjoy him in the way I do now. I worry about the next generation of moms; are they, too, going to find one another? Or are people going to stop writing about their kids earlier and earlier, if they write at all? Where are the parents going to learn; who are they going to learn from? Also, as we start navigating the teen years, I YEARN sometimes for that connection we all once had. I'm a little bit lost; a little bit alone. I'll figure it out, because you all gave me such a good base from which to work. But it's hard. So while I completely understand, I'm nonetheless sad. My autism and home ed blog has become an almost exclusively gerbil and cat related one as our boys have grown older. Our previously shared home ed journey has now become their own personal life path and it seems intrusive to write about it in the same way that I used to. As you so rightly say, our teenagers' stories are becoming very much their own now. I do hope you manage to keep writing here though Jean. Your stories have always been wonderfully uplifting and encouraging to read, not to mention unbelievably funny. And of course who wouldn't want to laugh at gerbils in hats? ME TOO. Started my blog in 2008 and wrote SO MUCH ALL THE TIME. 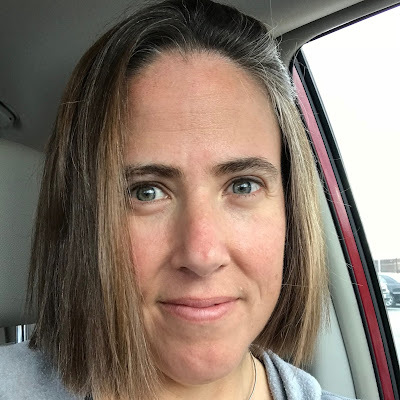 Like you, I'm busier now and my kids are older and I think Facebook has a lot to do with it (blogging less) too - there's an instant gratification factor there that used to come from my blog comments back when people read me. There are also things in my life that I so wish I could write about, but I just can't do that to my family. Or my coworkers. I will never be one of those bloggers you can just lay it all out there for the world to read, and I think that the very best bloggers do that. But that's okay, like you, I wanted to get some of the best stories memorialized in case my kids ever care to read them. And I have formed connections with any number of wonderful people through blogging., many of whom I have since met in real life and simply adore. Now I'm wondering why am paying eight bucks a month for TypePad....gotta figure out how to transfer back to a free platform. Right after I finish the tax return. Stimey! I love this post. I think it just shows that life moves forward & challenges us to make changes. It's a great thing. I'll stay subscribed - I can't resist a pic of a gerbil in an acorn hat & I want to keep hearing all about your running. I still come back here for a regular laugh. Love that you're running. Hopefully the sidewalks will not be frozen much longer. Cheers! Same here, used to write, have lots I could write about, but they are not my stories to tell as Roc gets older. So much of what I've "written" in the past year has been photos and events and the positive stories. Yes, your mom still reads your blog. And loves every bit of it. What everyone else said about not blogging about the kids any more now that they're older (although my blog was always just a little family-and-friends site), but I also wanted to say, after years of lurking, that you are one of my favorite people on the internet. I have never read a post here without cracking up. 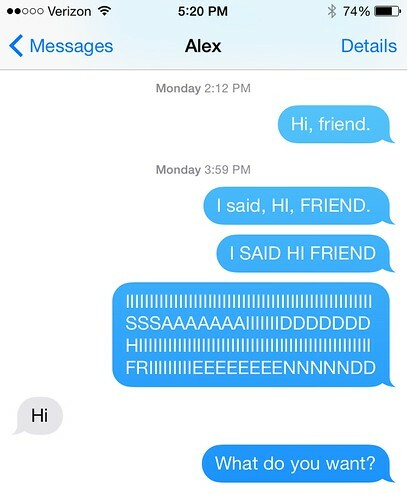 And since I have my own Minecraft-obsessed fourth and sixth graders, including an Aspie who is Jack's exact age, let's just say that I relate A LOT. Thanks for all the great writing! Also, I now really want to get a gerbil. Your blog was the first one I ever read and I will read until I can't see the tiny print on my phone anymore (which may be soon - stupid getting old). So share whatever you have. I'll keep reading. That being said I've stopped writing for many of the reasons you said here. In different life spot with older kids and other things. I don't know why or how it happened but it's just not the outlet I need anymore. Or maybe it is and that's why I've been so cranky. See? Look at how much your writing still influences me. I really admire that you've kept writing and kept doing it so well! Your writing is always fresh and entertaining, no matter what you write about. This thing about writing about our kids. ... or anyone other than ourselves .. it's there, isn't it? Selfishly, I hope you come up with a strategy that works for you and keep posting here. I'd miss you! Just keep on. I like cats and gerbils. I may or may not have said I ran a race at camp when in high school and came in second. When you get down to it, all writing--especially writing we toss up on the Internet--is narcissistic, no? We put our stories to pixels and assume (or hope) that an audience out there cares enough to read it. And for some reason people assume that this narcissism is a bad thing. Which is funny, because I nearly got a PhD in American literature that involved spending *years* studying some of the most self-absorbed people the planet has ever supported. But it isn't narcisdism, really, because the audience doesn't really matter. You should keep writing for as long as it makes you happy--about running or rodents or the ratatouille you had for dinner--because your voice matters, and the world will be poorer without it. And whenever you do write, I'll read it happily. Also: the things you write that you don't post publicly--write them down anyway and save them for your children. They will want to read them one day. oh for heaven's sake, we'd read your grocery list if you'd let us. as a matter of fact, i'd bet dollars to donuts it's more interesting and entertaining than half the crap, er, stuff i read on a regular basis. bring it on, sister. we're here. Please keep blogging. The gerbils really want you to. They told me so, telepathically. I love to read your writing. It always makes me laugh! We're all busy these days but squeeze it in whenever you have a chance. I'll always make time for it. And I totally get that the topics have changed. Love to hear about your guys but there comes a point when it is their story to tell. To echo everyone: I will happily read anything you write, and certainly understand that the blog has changed over time. Of course it has--you and your family have changed over time, too! I came to your writing when I was looking for autism resources, and found in your (often hilarious) descriptions of your life the reassurance that I needed that we in my household were still the content, silly people that we had always thought we were. Thank you!! Mental note: Find more tiny hats. I'm still mad at you about your dead blog. I loved it sooooo much. Also, now I'm picturing you doing gerbil CPR. I know exactly what you mean. The group of women I learned from and with was absolutely LIFE CHANGING when I really needed it. I totally get everything you're saying here. The free platform—yes! I switched to self hosting from Blogger and I kinda wish I hadn't. Because now I have no idea how to switch back without destroying EVERYTHING, so I'm going to pay $10 a month for the rest of my damn life. I am so mad at the sidewalks. It must be KILLING you, what with a marathon coming up. You all are so wonderful and affirming. Thank you so much for every single one of these comments. I love you. I did! I'm washing my hands right after I type this. And then I'm sanitizing my gerbil tanks. I don't need any plague carriers around here. Maybe I'll give them little shampoos. That would be ADORABLE. I don't have a job now. I just volunteer, even my writing online thing I mentioned in my blog's volunteer. I'll stay with a free blog for-blog-ever. I say write whatever you want! As someone else commented, we'd read your grocery list if you'd let us. ;-) I will say though, in defense of writing about your kids...I started a weekly "Kate Update" email about my daughter when she was a baby that I am still doing now that she is going on 11. Each year I put all the emails into a little book (there are lots of online "self-publishing" programs you can use). My version of a baby book...that goes on and on. But do what works for you! That's a really good idea. I bet there is some amazing stuff in there. Re running: you and me both. Winter is rough. Jean, I really enjoy reading your blog, and hope you continue to write here, in a way that works best for you. If that's as a way to express yourself, or as a way to record interesting events in your / your family's lives, that sounds great. Writing exclusively on Facebook might be less time-consuming for you. I don't belong to Facebook, so I wouldn't comment there, and that's ok, too. may i just say that i adore you and read you? The gerbil looks so dashing in that cap. And because I also just read the next few posts, let me add, I have two options for you to consider in response to your winter woes: 1. buy snowshoes, they make a kind for jogging; 2. come visit me in California, it is 70 degrees. No ice. Lots of vitamin D.
Sherry, I might not just visit you, I might move in.